SPOT-Taipei occupies a building that witnessed the history of Taiwan-U.S. diplomatic relations as the former U.S. Consulate in Taipei , Consulate-General, and Embassy. After the U.S. Embassy in Taipei closed in 1979, the building lay neglected for many years. In 1997, it was designated as a grade three historic site. In November 2002, it re-opened as the "Taipei Film House." The architecture is designed in a western style with white exterior walls. The interior is laid out around the central staircase with a colonnade formed of pillars in a simple Greek style. Today, the building is used as a cultural space dedicated to film culture. 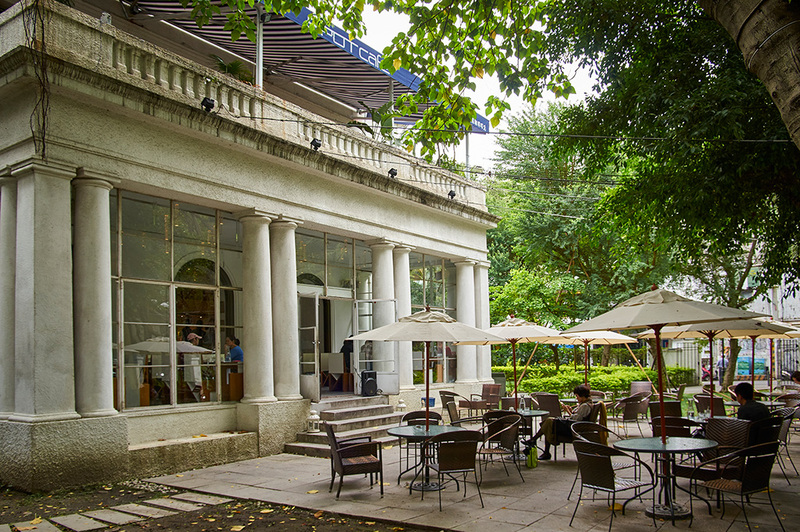 The facilities include an exhibition hall, art gallery, small cinema, restaurant, and a bookstore specializing in books on cinema and urban culture. Nat'l Hwy 1 → Yuanshan Interchange → Jianguo Expressway → Minquan E. Rd. Exit Interchange → Zhongshan N. Rd. Take the Taipei MRT Red Line or Green Line to Zhongshan Station (Exit 3) and walk for about 3 mins.